Artists, writers and poets have been using symbolism to represent their ideas or express their emotions or state of mind since time immemorial. Symbolism is a way of saying things in an implicit manner rather than being explicit. In several arts and cultures, different animals and birds have been depicted as a messenger of a good omen or a bad omen. One of the smallest birds ‘hummingbird’ is found to have different symbolism in different contexts. More often regarded as a symbol of good luck, hummingbird is also said to be a bird signifying peace, love and happiness. Here are some hummingbird symbolisms along with their interpretations in dreams and myriad cultures, art and literature. 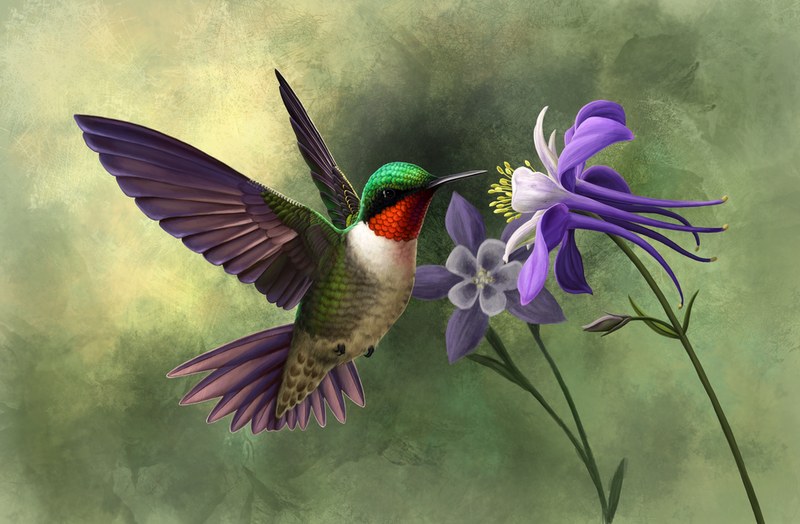 Just like in various cultures, the appearance of hummingbirds is considered a lucky omen in dreams as well. They symbolize prosperity, progress and endurance. If you happen to see a hummingbird in dreams, it may mean that the good luck is approaching bringing joy and love to your heart. Apart from being a symbol of grace and cheerfulness, the nimble nature of this bird signifies effectiveness to achieve goals. Having a dream of hummingbird drinking sweet nectar from flowers may mean good things of life. 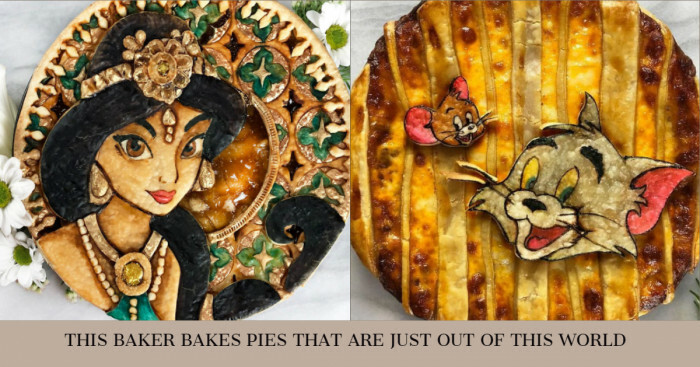 This message may mean you will enjoy these or you may be overindulging in luxuries. When a hummingbird crosses your path, it indicates that you need to live your life to the fullest. Life does become fast-paced but you need to keep stop once in awhile and enjoy the little things in life. Dreaming yourself as a hummingbird may mean that you have a high sense of freedom and desire for self-fulfillment. It becomes essential to transform that energy in a positive direction and not let yourself get exhausted. If a woman dreams of hummingbirds with beautiful plumage, it may mean that she may find a happy and wealthy partner soon. Seeing flying birds symbolizes hope and prosperity. This means there would be no hostile environment around you but only positivity. Dream of a hummingbird may also mean indecisiveness. It may indicate that you have a lot of options and want to try all the choices available. Hummingbird also teaches energy and endurance due to her ability to hold flight in the air to collect nectar from every flower. This may feel like you’re not moving ahead but you are. You need not drain yourself out as you will feel the progress soon. ‘Joyas Voladoras’ or ‘Flying Jewels’ was the name given to the hummingbirds by the first Spanish explorers who arrived in the New World. They hadn’t even seen creatures like hummingbirds as they came only to America and nowhere else. 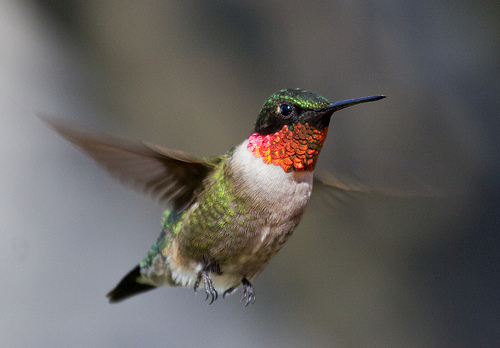 Over 300 species of hummingbirds were seen flying and nectaring. The French called hummingbird ‘Oiseau Mouche’ and ‘Flower Bird’ because of its quality of fly and for being one of the rarities of the country. The pilgrims that arrived in the New World were introduced to Native American ambassadors and were offered hummingbird earrings. At first, the pilgrims assumed them to be a hybrid of an insect and a bird. Their colorful feathers that shone in the sunlight left the pilgrims amazed thinking they were magical. Apart from this, the Native American tribe ‘Apache’ has a folklore which represents hummingbird as a healer and one bringing good weather. According to the folklore, there was a young warrior named Wind Dancer who was born deaf. But he had the ability to sing magical songs that would bring healing and good weather. He fell in love with a woman ‘Bright Rain’ while saving her from wolf and got married to her. In an errand of mercy, he got killed and this was followed by a bad winter. The Wind Dancer used to visit her in the form of hummingbird and whenever she walked, he would whisper sweetness into her. This stopped the winter bringing good weather to everyone. The Native American people ‘Cherokees’ believed that a medicine man transformed himself into a hummingbird to find a missing plant. The indigenous people of Mesoamerica ‘Mayans’ had a belief that the first wedding on Earth was between two hummingbirds. 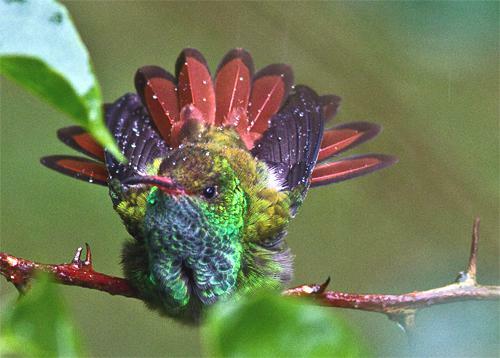 They say that the Great God created hummingbirds from the leftovers of other birds that were created. They were given exceptional flight ability due to their small size allowing them to hover, fly backwards and upside down. It is believed that the Sun came to announce their marriage promising that their feathers would gleam with magic every time they would look at the sun. Mayans also believe that whenever Sun disguises into a hummingbird when he wishes to pursue the moon. Some people of the Caribbean believed that the hummingbirds represented spirits of the deceased loved ones. In the central Mexico, the ethnic group ‘Aztecs’ used to wear talismans. The fetishes and artistic depictions of hummingbirds were created from the parts of a real hummingbird. The talismans symbolized vigor, energy, and strong inclination to perform a task. The sharp beaks of the hummingbird were indicators of intimacy, weaponry and penetration. They say whoever wore the hummingbird talismans was endowed with vigor, energy and skill at weapons and at war. ‘Huitzilopochtli’ who is the Aztec god of war or patron god of the ancient capital of Aztec capital ‘Tenochtitlan’ is often represented as a hummingbird or an anthropomorphic figure. He wore a blue-green hummingbird helmet that identified him as the sun god in the artistic depictions. Also, the hummingbirds were seen as the messengers of afterworld. The spirit of dead warriors was believed to return to Earth in the form of hummingbirds and butterflies. The religion of North American Indians is highly influenced by its spiritual connection with nature. Reflecting their beliefs, hummingbirds were depicted as a couple to symbolize life cycles, devotion, eternity, and permanence. Regarded with admiration in North American culture, hummingbirds are deemed as fierce fighters and protectors of their homeland. They even consider seeing a hummingbird before important events as a sign of good luck especially before going to other villages or for long hunting expeditions. In the Southwestern United States, hummingbird holds a great significance for the people of Pueblo culture. According to a Hopi folktale, the hummingbird acted as a messenger of rain and helped the people in convincing the gods to bring rain. 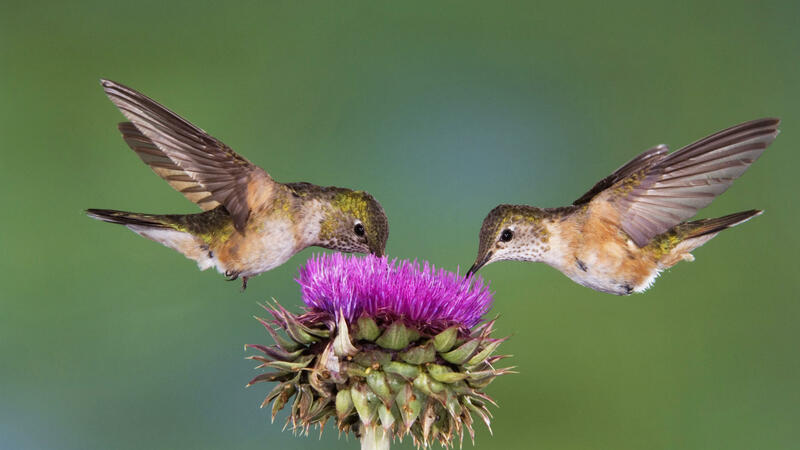 The hummingbirds are also associated with integrity, beauty, healing and the need to help others. In some of the traditional folklores, they are said to bring fire. This helps them in focusing on the positive side of life. The people of Shamanic culture ‘Shamans’ love, joy and healing. They believe that hummingbirds help in overcoming the negative experiences of life and in traveling difficult journeys with ease. Since the flight pattern of hummingbird is in the shape of figure eight ‘8’, it is also linked with infinity. Shamanism says that the hummingbirds signify the need to accept the painful experiences occurred in the past and learn from them. Known as the ‘land of hummingbirds’, Trinidad and Tobago has hummingbird in its ‘coat of arms’ symbol. This is because more than 16 hummingbird species have been seen on the island. The Taino people were the natives of Caribbean and Florida. In their tradition, hummingbird is symbolized as a life spreader on earth. 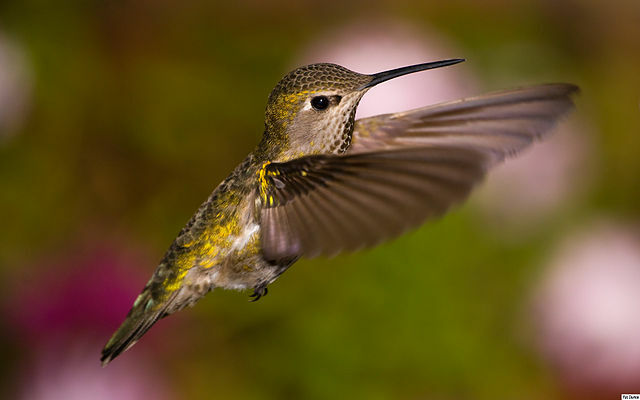 They believed that hummingbirds are peaceful creatures and have the ability to guard the territory like an eagle. As hummingbird was known as the symbol of rebirth, the Taino Nation called their warriors the Colibri Warriors or Hummingbird Warriors. The hummingbird is sometimes a symbol of resurrection of Jesus Christ for Christians. A legend of the natives in Andes of South America says so. It began due to the natural adaptation of torpor. The native American people saw the hummingbird going into its hibernation-like state appearing as if dying. Then, seeing it coming back to life may have felt like a miracle similar to Resurrection of Jesus Christ. This is why even today, it is regarded as a symbol of Easter and Resurrection of Jesus Christ. During the springtime around Easter holiday, a hummingbird can be seen. For since the creation of the world God’s invisible qualities—his eternal power and divine nature—have been clearly seen, being understood from what has been made, so that people are without excuse”—if they do not believe. But ask the animals, and they will teach you, or the birds in the sky, and they will tell you; . . . Which of all these does not know that the hand of the Lord has done this? An Australian biblical creationist Denis Dreves calls hummingbirds ‘God’s tiny miracle.’ He regards it as a remarkable creature good example of evidence of God as creator. Also, he says that all the amazing and compact characteristics of this creature - energy storage, long bill, special tongue, unique rapid wing-beat, flight endurance, long distance navigation- needed to be working perfectly in order to sustain its life. "The sweetest nectar is within!" Having hummingbird as a totem means enjoying the sweetness of life, beating the blues and expressing love fully in the life’s endeavors. Keeping it close encourages resilience and adaptation by having a cheerful and optimistic perspective. Jamie Sams and David Carson, in their book ‘Medicine Cards: The Discovery of Power through the way of animals’, say that hummingbird is a creature that opens heart for many people. Hummingbirds teach us to live life in the present and appreciate its beauty. They also evoke the healing and medicinal properties of plants. The book ‘Animal Speak’ by Ted Andrews teaches us to extract the life’s essence from flowers. They teach us a lesson of independence, courage and a to inculcate spirit of fighting where no one is harmed. The chirping sound of the hummingbirds helps in restoring our health and balance. 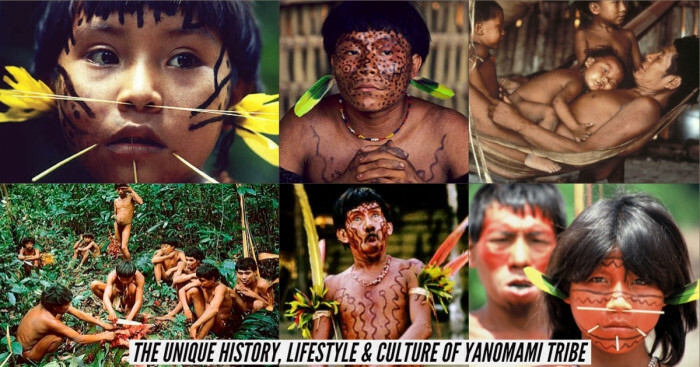 They inspire us to protect the environment and preserve the endangered old traditions. What Do Hummingbird Tattoos Mean? Bird tattoos are popular kind of tattoos that people get especially women. A hummingbird tattoo often symbolizes love, peace, hope, good luck, charm and life. An energetic individual who believes in getting things done and works hard to make things happen would have a hummingbird tattoo. As they also represent care and happiness, people who are in relationships get twin tattoos of hummingbirds. 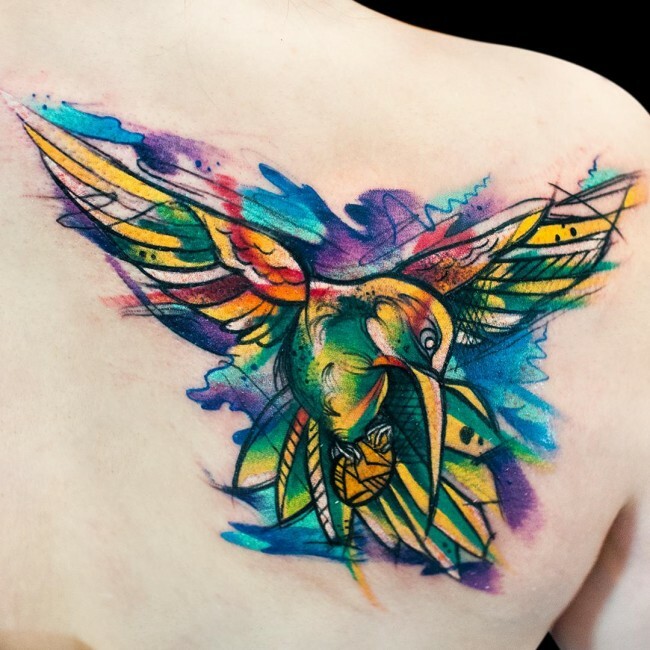 Hummingbirds are lone travelers so the tattoo may also signify independence and freedom. It was in 1892 when the beauty of hummingbirds was brought to the world in the form of an artwork. And in 1940, an American ornithologist Bent published first book about hummingbirds. Hummingbird has also been a crucial element of a painting created by Mexico's great painter Frida Kahlo. 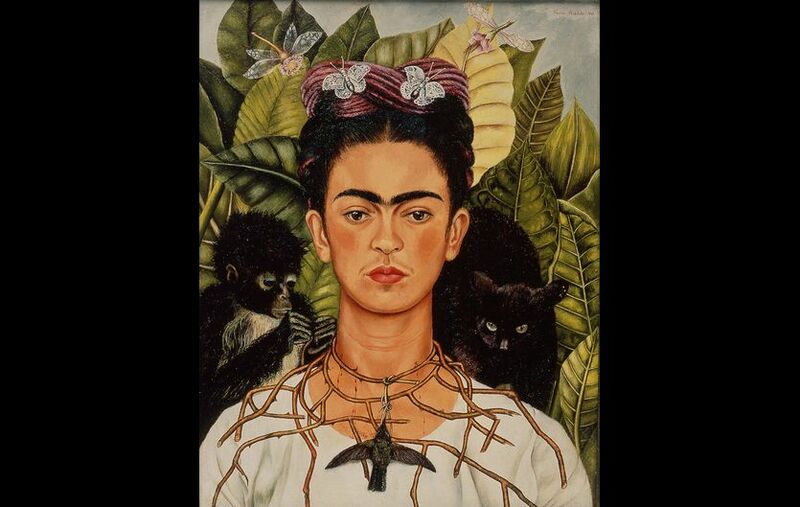 ‘Self-Portrait With Thorn Necklace & Hummingbird’ is one of her most important artwork. She painted this iconic self-portrait after separating from her husband Diego Rivera and ending the relationship with photographer Nickolas Muray. In this painting, she has painted a hummingbird hanging down from a thorn necklace to express the pain and turbulent phase, she was going through in her life. Art historians say that the little hummingbird is either a symbol of hope or war. The hope is for a revived love and getting back again with her husband as hummingbird is considered a sign of good luck in Mexican culture. 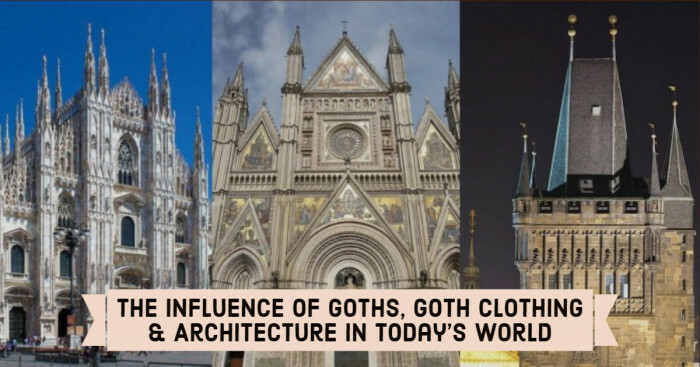 And it could also be a symbol of Aztec god of war ‘Huitzilopochtli’ since her works involved elements from Mexican and Aztec culture.